This catalog was released in 1988 with the first line of Cherry Merry Muffin dolls. 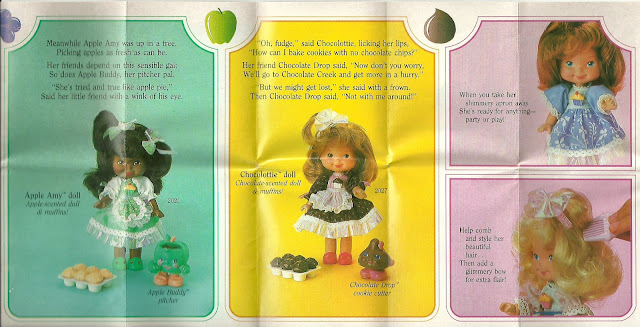 These were obvious takes on Strawberry Shortcake, but they certainly have their own charm. There is a great site, http://www.merrymuffinland.net/ that is super complete and has nice photos of all of the dolls and accessories, including commercials, promotions, custom dolls and more. Click on images to blow them up. Yes, I mean Drive In Movies! When was the last time you took your whole family, even the little ones and the dog, loaded up the car and went to the movies under the stars? 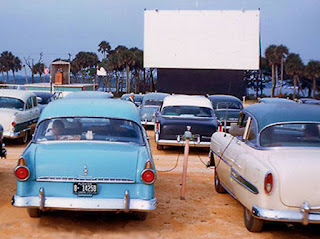 If it's been a while, maybe you should check out http://www.drive-ins.com/ and find your nearest Drive In theater. There may be one near you and you don't even know it! I've got a great Drive In about 30 minutes from me that I visit often during the summer. I love the Drive In because it's not just the movies, it's a social event. We call up everyone and invite them along. Before the movie we play catch, run around with the dog, chit chat, or play games. Once the movies start we are still all together, everyone in their lawn chairs, sharing snacks, taking turns petting the dogs, joking around, getting tired kids tucked into the back seat, running to the snack bar for more popcorn and still being able to see and hear the movie the entire time. Our Drive In , www.99w.com, plays old classics, along with the new. Last night's double feature was Jaws and the Avengers! 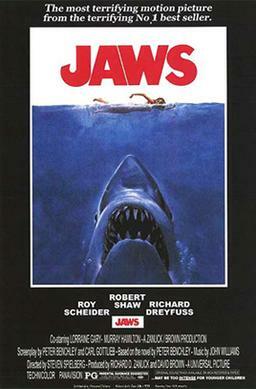 Did you know that Jaws was rated PG? Find your nearest Drive In and relive the old magic. Check out the rules of your Drive In before going. Can you bring a BBQ, some allow it. Are you allowed to sit in Lawn Chair in front of the car? Can you bring in the dog? Oh Please Don't Go ... We Love You So! 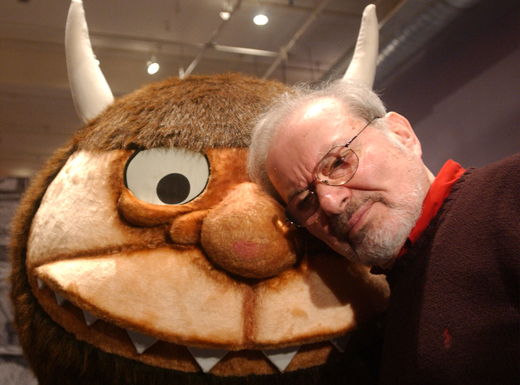 The amazing author and illustrator, Maurice Sendak has died at the age of 83. He inspired so many to read and let themselves fall into a book, let the fantasy wash over them, and forget the world for a while. He didn't write realistic fiction. 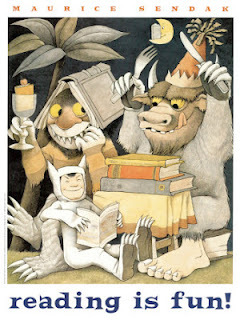 His stories were often pure, wonderful, wonderful, nonsense. He is most famous for "Where the Wild Things Are" but he has so many other fantastic head scratchers. Books that make you suspend disbelief and imagine. 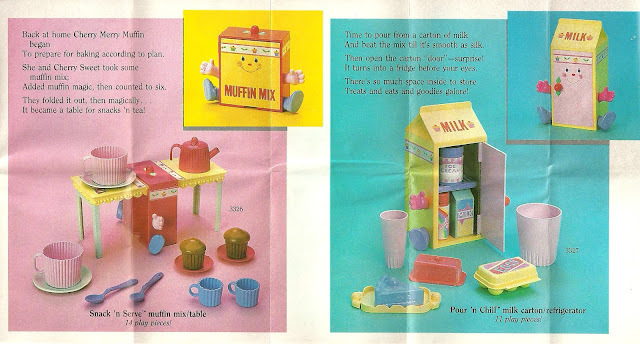 Be off with you, run to the library and check out, "In The Night Kitchen", "Over the Water", "Little Bear", "Chicken Soup with Rice", "One Was Johnny", "Hector Protector", Alligators All Around", "Outside Over There", "Higglety Pigglety Pop", "Pierre" and MORE MORE MORE! Get the video "Really Rosie and the Nutshell Kids" to see several of these stories animated, with words sung by Carole King. Monchhichi Monchhichi, oh so soft and cuddly! Who wouldn't feel happy when seeing a Moncchichi? Oh yeah, boys. 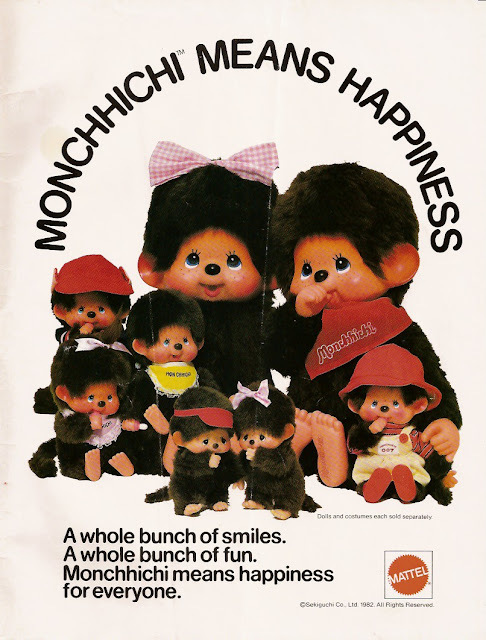 We loved Monkies in the 80's, remember Project X? I still say, in a sad voice, "Virgil!" Every time a see a little chimp.